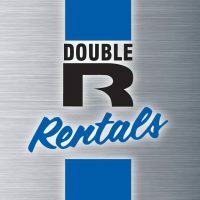 Organization Double R Rentals – Ladner – We carry power equipment like Honda and Stihl – Delta, BC, Canada. We are a family business, who specialize in top quality equipment and we pride ourselves on top quality service! We are a one stop equipment rental, repair and resale business. We carry only the best in power equipment with leading brands like Honda and Stihl, but we service and repair almost anyting with a gas engine! We rent everytrhing from cordless drills through boom lifts and ride on compaction.